Please post or forward to interested parties. 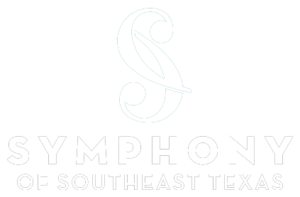 The Symphony of Southeast Texas announces auditions for the 2018-2019 Season, to be held in Houston, Texas, at Rice University, on Saturday, September 8th. All interested area musicians are encouraged to audition. AUDITION REQUIREMENTS: PLEASE EMAIL FOR EXCERPT/SOLO LISTS. Musicians interested in auditioning should contact the Symphony of Southeast Texas Director of Operations, Jamie Strawther, by email at jstrawther@sost.org or by phone at (409) 504-5741. The Symphony of Southeast Texas, embarking on its 66th season, is a regional, per-service professional orchestra based in Beaumont, Texas. The Symphony performs a number of subscription, run-out, and educational concerts each year for the greater Southeast Texas area, making its home at the Julie Rogers Theatre in downtown Beaumont. Our orchestra is composed of local musicians from the Beaumont area, as well as many musicians from the Houston and Lake Charles areas. Selections from the upcoming season include: Gershwin-An American In Paris, Beethoven-Symphony No. 6, Rachmaninov-Symphony No. 2, Faure-Requiem, Ravel-Daphnis and Chloe Suite No. 2, Byron Stripling, and the Texas Tenors.